Want your company to soar above the competition and create an image of your business people CAN'T forget? Here's your chance for your company logo or message to catch a ride on the next near space flight to 100,000+ feet while supporting Lab148/Astrohack development and student outreach program. Our current platform is designed to fly a custom advertising appendage that holds your logo in the field of view of it's imaging system (still images, video, or both). 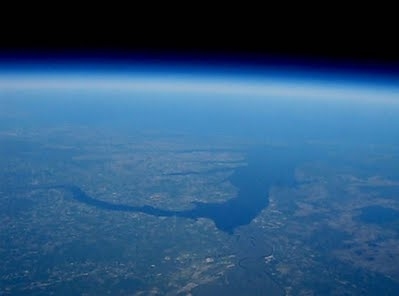 After the craft is recovered we'll send you a disc containg thousands of pictures of your logo/message/website at the "shore of space" or nearspace to include in your marketing materials. 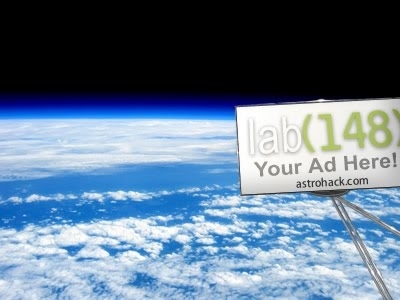 To inquire about this innovative advertising vehicle and Lab148's HSA high altitude platform, please find the form on our sub-site for this project (Project Oryan) at astrohack.com. We'll discuss your needs and schedule a flight typically within one month depending on the payload requirements. Click here to contact us about an Astro-ad.